Reg: $1,599.00 You save $100.00! Reg: $2,499.00 You save $200.00! On the surface of the TEMPUR-Cloud Elite, the EasyRefresh Top Cover is made from smooth, premium fabric that is designed to feel like there is no barrier between you and the comfort materials, allowing them to contour to your body unhindered. 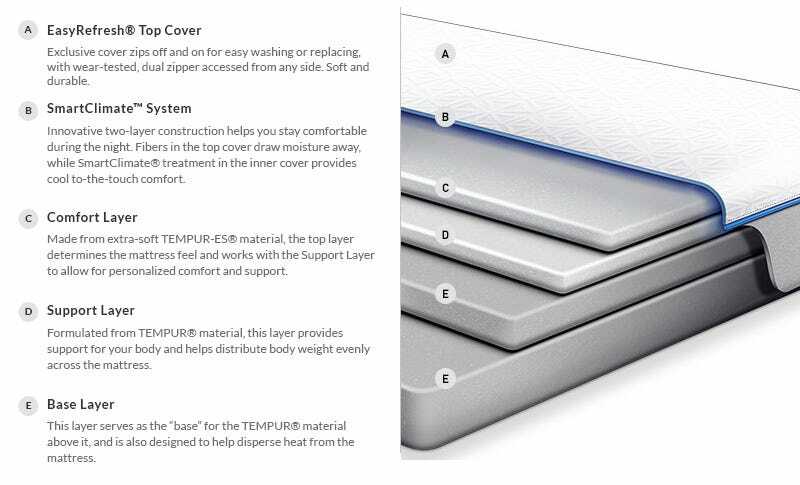 This cover can be zipped-off for easy washing or replacement, and Tempur-Pedic's SmartClimate System helps regulate the surface temperature to keep you comfortably cool all night long. Cal King 12.5" 72" 84"
Twin XL 12.5" 38" 80"
Split Cal King 12.5" 72" 84"
Split King 12.5" 76" 80"
30 days sleeping on this now. We really like it. I'm a back sleeper and now sleep through the night without any aches and pains that I had with my last mattress (jell). My wife is a side sleeper. She had the same problems, waking up with aches and pains. She now sleeps through the night as well. I recommend this mattress. Bed is excellent and customer service was quick and pleasant. Took extra couple of weeks than expected but worth the wait. We have had the bed for a week and so far we really like it. I have no hip pain but my neck still bothers me some nights. I still need to find the right pillow. One thing is your regular pillow may not work well with these beds. I purchased 6 weeks ago and I haven't adjusted to the mattress yet. I bought this mattress 90 days ago and it hurt my back so bad that I returned it to purchase the Contour Rhapsody Luxe. For me it was too soft and through me out of alignment. I kept it more days then I should do to everyone thinking that I would get use to it. But the lack of sleep and getting up sore made me realize that it was the mattress and I was not going to get use to it. We bought this bed a little more than a month ago, great bed once you get use to it, it conforms to your body so it's a little warm but i was told you can remove the top cover and it makes it cooler ( have not done so yet ) so you don't need as much bedding. I'm a bigger guy so I thought I would sink in a lot more but the bed gives me good support. My opinion i think your pillow has a lot to comfort along with your mattress, I got the traditional x soft and I love it great combo with my mattress. Also I'm a side/stomach sleeper and this bed works for me, a little discomfort in the beginning but again give it some time ( 90 day return policy is great ) everyone has a different comfort level so try before you buy. Overall good bed. I was afraid this bed would get too hot but it doesn't... granted I am typically cold at night. The bed is super comfortable and has helped relieve some muscle tightness. I have only had it for a couple weeks so I think my body may still be adjusting to the bed. I don't know the specific mattresses we have. We own two queen tempur-Pedic mattresses (two homes). One is over 20 years old, the other 12 years old. They permit us to sleep comfortably and not disturb each other. We wouldn't buy any other kind of mattress! It was time for a new mattress. My wife and I debated for some time over traditional or memory foam. Long story short we decided to give it a try. I can honestly say I haven't slept this well in years. Try It, Well worth it! Great sleep at night or any time of the day. Very comfortable with relaxing features. The vibration unit helps to put me to sleep, although the mattress is a bit more firm than what I was used to. The adjustment ; both head and feet makes reading or eating in bed a better experience. I can't really say that I sleep better, I slept pretty well before I got the bed. I don't think the overall cost makes this a special experience, but the finance deal was great. My Tempur-pedic body pillow is perfect! My boyfriend is jealous. I absolutely love my Tempurpedic Mattress! I finally get a full nights sleep and wake up alert, rested, and ready to complete my day. I love the fact that I have an adjustable base under it as well it can't get any better!!! After several years of enjoying Tempurpedic pillows, my husband and I purchased a Split Queen Tempurpedic mattress and frame in 2004. What a surprise! I was finally able to sleep on my right and my left side again; the back pain I had suffered from since 1993 just seemed to evaporate as my back was able to relax on this wonderful mattress. Best quality mattress out there. Bought it when they have a big promotion and so satisfied with it. The best buy I ever made for myself !!! I'm finally sleeping through the night and waking up with NO back pain. I should have bought this mattress 10 years ago. I would definitely recommend a Tempur-Pedic mattress to anyone. I started out loving our new Tempur-Cloud King mattress set. I found it to be comfortable in all sleeping positions, and never feel that sore back in the morning that I experienced with prior mattresses. My major concern, that I expressed to the salesman, was that we wanted a mattress that would not develop valleys where my wife and I slept. Unfortunately, after only a few months, even with regular turning of the direction of the mattress, we noticed dips and hills in the foam in our 2 sleeping positions. They are not deep enough to show up well in photos, but if we move a little to the middle of the King, there is a definite hill to deal with. That is a real disappointment, but otherwise, the Tempurpedic is at least as comfortable as any other we've tried. Best mattress ever... love the ergonomics and the being able to raise and lower. Feels like I'm royalty and I love the lower back support. I admit it. It's the Best. I was hesitant to buy a tempur-pedic mainly because I just didn't believe the hype. But with sore backs and my husband's shoulder injury, our sagging regular mattress wasn't cutting it. So we looked at everything in the store and had to admit that this bed was really comfy. After much time lying in the showroom over many days, we went for it. I have to say that this bed is the best decision we could have made. It's totally comfortable.. it is different from 'regular' beds because it doesn't bounce if you jump in, but we don't seem to toss and turn nearly as much overnight. I don't have the achy lower back anymore (unless I stay in bed for an obscene amount of time...) My husband also notices feeling less aches and pains and is sleeping better. Yes it is a pricy mattress. No doubt. But honestly, some things are worth the money and this is definitely worth it. Good shoes and a Tempur-pedic! I have been converted and tell anyone who asks how much we love our bed! My husband has a bad back. 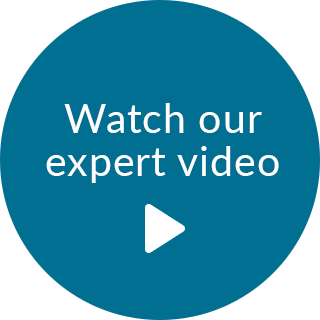 It seems that the general public believes that buying a rock-hard bed is the only way to take care of a bad back, but guess what? I like a soft bed. And he LIKES a soft bed too as far as the initial comfort goes, we just worried about the ramifications for his back. Yes, I knew we could split the bed and each get our own, just requiring him to suffer a hard bed, but was that really necessary? With Tempur-Pedic, it wasn't. The Cloud Elite we bought and have slept on for a year and a half is SO soft, but also, it is incredibly supportive! It takes great care of his back so he can sleep without pain, and we don't have to endure the misery of sleeping on what feels like a cinder block! We both wake up feeling so rested every morning! And while memory foam tends to have a reputation of being "hot," we have NEVER had heat issues from our mattress, except for me about two days when I was in the throes of late pregnancy, and I think we all know what was going on there. Thank you, Tempur-Pedic, for designing such a great product! After breaking my back (3 spinal compression fractures) in a freak scooter accident, I could not sleep lying flat. I went on a search for a quality bed to improve my sleep. I found the Tempur Cloud Elite and bought the adjustable frame. It has literally been a back saver for me. I slept all the way through the night the first night and every night since. I truly cannot say enough good things about this mattress. The only down side to this mattress, and maybe not a fault of the mattress but rather my own back, is that I do not get good sleep at hotels. Do yourself a favor and make the awesome leap to Tempurpedic like I did...you will not regret it!! Everytime I lay down it's the same response.....Ahhhhhhhhh. Super comfy with great support for my lower back. I no longer wake up with a sore lower back. Having the adjustable feature takes it to another level of comfort for reading, tablet, TV etc. Motion transfer is key when sleeping with another person. I no longer wake when my husband gets out of bed early.There is nothing that I don't love/like. Now my teenagers want one too. 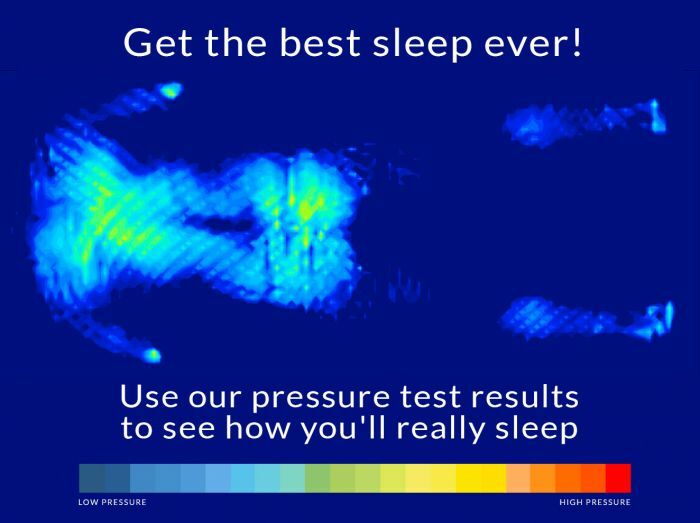 You can't beat a good nights sleep. My parents bought me one for when I came to stay with them and I loved it so I just purchased one for my new house and love it. I would recommend one to any of my friends who are looking for a mattress. Bye Bye Back Pain ... Hello Sleep. "Cloud" is truly the best name. This bed hugs you in all the right places reliving ALL pressure points for a sleep like no other - regardless of the position you sleep ! If you have back pain, leg pain or shoulder pain this is the bed for you ! Very good support. Enjoy the adjustments. Had hip joint replacement and was very convenient. A restful sleep is priceless this is how I will describe my Tempur Pedic. Expensive bed yes, but I paid for the quality that no other brand of bed mattress can offer. How I wish I can get another set for my kids. I wanted an adjustable bed, so the mattress and frame came together. I recently warrantied the mattress because of mold on the bottom side. Because these mattresses are not flipped, mold is less likely to be noticed. In the winter the bed is awesome, in the summer I'm usually too hot but I deal with it because the mattress is so comfortable. This mattress is a dream to sleep on. I travel a lot for work and sleep in many different beds with mattresses I've yet to have compare with how comfortable this mattress is. I always get a great night sleep on my mattress and I wouldn't trade it in for anything! This is my second Tempurpedic mattress and I can safely say that it is the only mattress I will ever buy. Both my husband and I have bad backs and I have sciatica. Since wehave had a Tempurpedic our back problems have improved dramatically. When my sciatic nerve begins acting up one night on my Tempurpedic takes care of it. I LOVE MY BED. 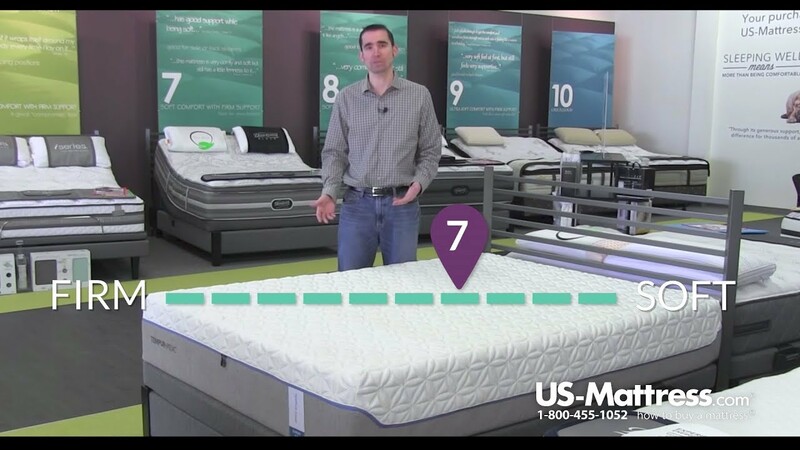 This mattress helps prevent back pain and is very comfortable. the fill of the bed. nice and soft love to sleep on it.nice and great bed can't wait to sleep on every night look forward to it.holds your body great. We own 2 tempurpedics and have slept on one for 20+ years and the other for 5. They are both the most comfortable mattresses we could find. And we looked. Nothing came close. It is hard to travel, because the mattresses in even the best hotels seem to be filled with corn cobs and straw. On those days when you reach the bed exhausted, there is nothing better than the welcome caress of a tempurpedic mattress. This is our second Tempurpedic (our first migrated to the guest bedroom) and I can't imagine sleeping on anything else. There's nothing better! Mattress is soft but still firm. after many years it still in very good shape. I have slept in this mattress for about 3 years and I absolutely love it. I recommend it daily. It isn't too soft or too firm. Being single, when there are others in the bed, the first thing they say is " this bed is awesome". I had stage 3 melanoma and had all my lymph nodes removed. My right leg throughout the day swells more than twice it's normal size. Sleeping on this mattress and elevating it into the lounge position helps the fluid move and lets me get up in the morning. I can walk better now. I would never change this bed. We feel it has changed my life for the better. TRUE STORY !!! It's cool in warm weather, and firm as we like it. For 20 years no back sleeping for me due to a disc. The Tempurpedic supports everywhere so evenly that I snore louder - but on my back. Best matteress I've ever had! The matteress is so comfortable! I was waking up with back and neck pain daily until I recieved my temper cloud elite. I've had the bed almost 3 months and still believe it's the best item I've purchased in a long time! I have tried every mattress known to man and this is by far the best I have ever known!!!! It's is like heaven sleeping on this mattress. I love each time I lay in this bed more than the previous time. There is nothing I would change about this bed. I appreciate that when I'm on my side, my hips and shoulders do not hurt. I sleep more restfully. I also got the adjustable bed this time around and I love it. It's comfy for reading or watching TV. Love this mattress, super comfortable!! Would highly recommend it!! This is my second Tempur-Pedic mattress. My first was purchased around 2007, this wasn't the same type of mattress. Unlike the first TP mattress, I don't "sink" when I go to bed. It has excellent support. Back in 2007, the original was bought for my husband's back problems, it worked and then it needed to be replaced. We spent money on mattresses toppers and even bought a new competitors mattress. Not quite the same. Now fast forward 10 years later, I am divorce and now having arthritic issues. I tried to one of those online mattresses and it just didn't cut it. So, I bought what I knew would do the job and help relieve some of my aches. The first night and every night since, I have slept great. I have no complaints.